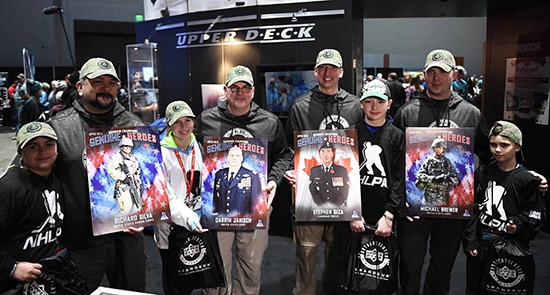 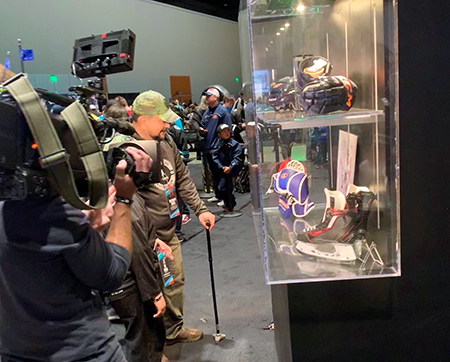 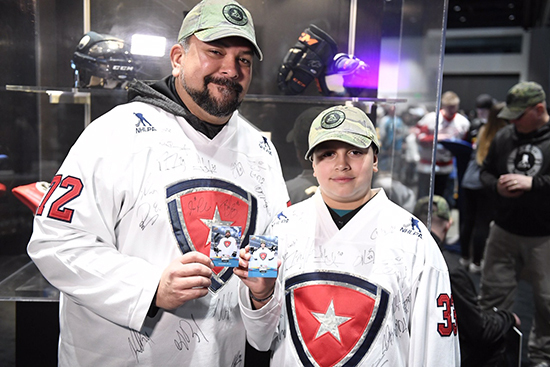 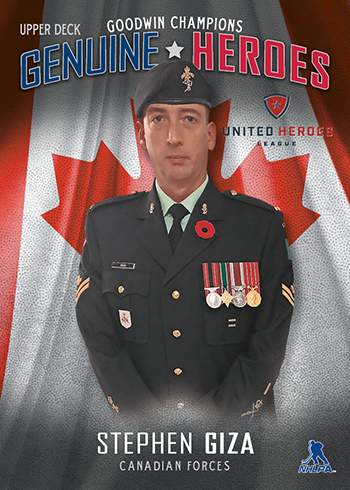 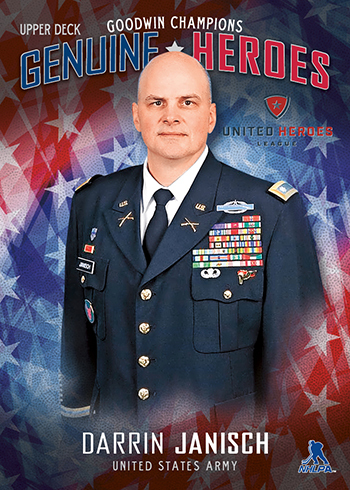 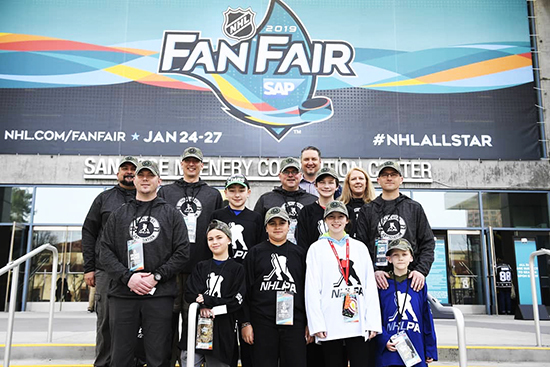 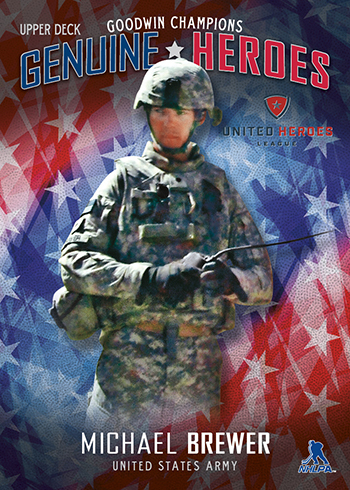 The good folks at United Heroes League partnered with the NHLPA to bring four military heroes and their children from the USA and Canada to the 2019 NHL All-Star Fan Fair and All-Star Game. 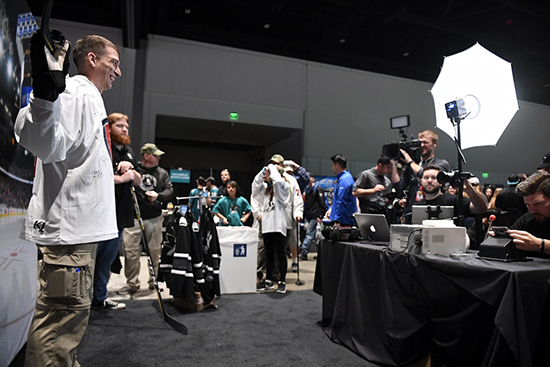 They were all thrilled when they arrived in San Jose, CA to check out Fan Fair. 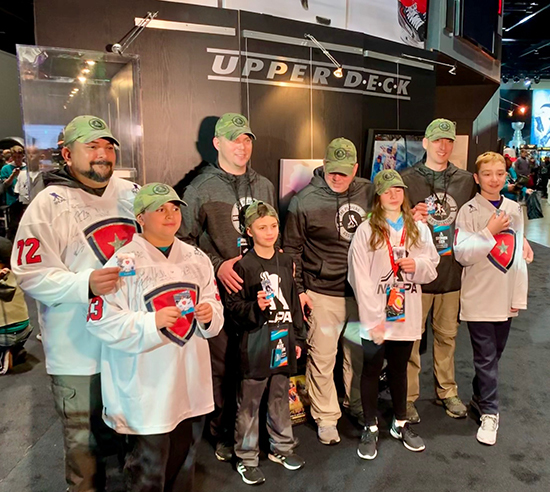 They assembled for a great group shot showing off their Upper Deck Genuine Heroes cards. 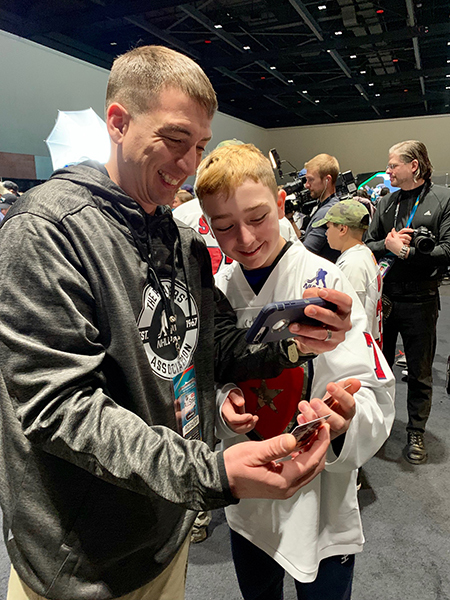 It was just these military heroes who scored, we provided goodie bags to each of their kids and it was so fun to see the young hockey fans break into new UD products. 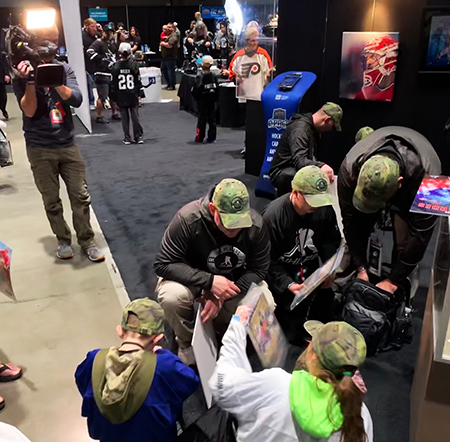 The group had a great experience taking photos and checking out the Upper Deck Authenticated memorabilia on display. 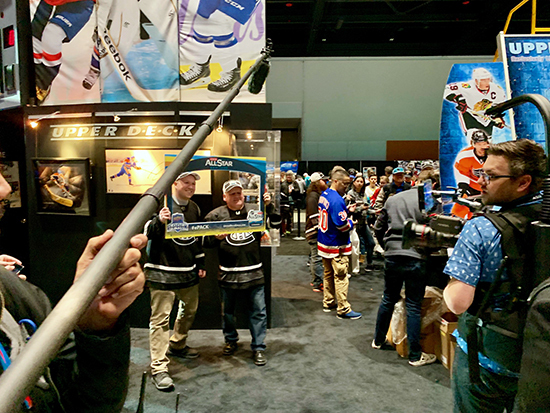 Then we escorted the group through our personalized card station and got new UD cards created for them that they could take home as a keepsake. 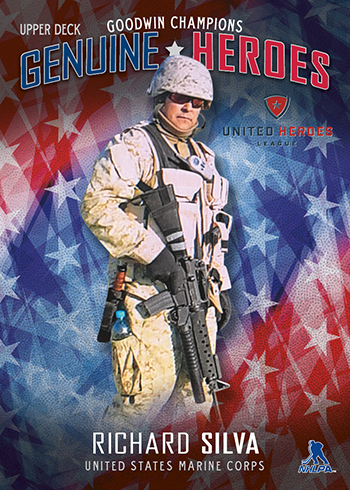 Thanks to all these heroes for their service, their sacrifices and their friendship. 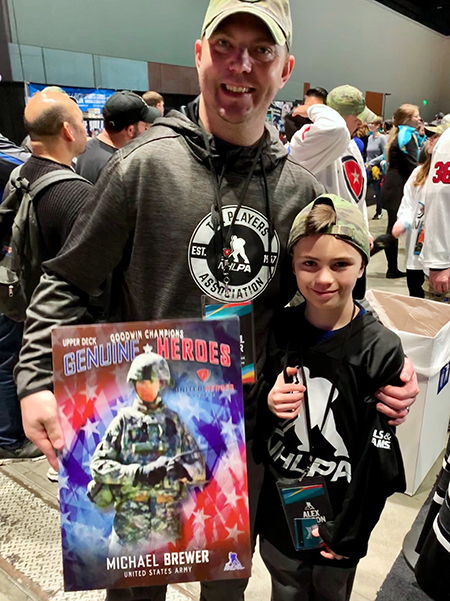 It was great spending time with them during the weekend!